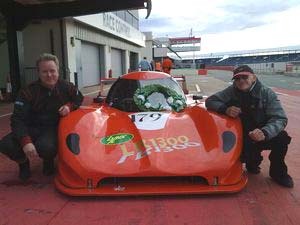 Based on the brilliant race proven technology of the LR1, the new LR1300 (Lynx Racing 1300) & LR1340 is a true 2 seat bike engine powered closed top GT car. With many attributes inspired by the legendary Porsche 956/962, the LE MANS winning Audi R10 and the Peugeot 908 the LR1300 has looks and performance to match. 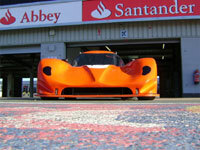 The space frame chassis and GRP body makes this a light weight yet strong affordable Track day or Race package. The car incorporates many speed and handling enhancing features thought up by it's designer / creator Jon Lee from his many years of involvement in motorsport. 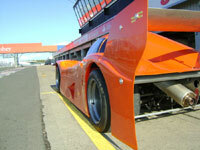 With many components manufactured by former F1 technicians the quality is as you would expect. The package can be tuned to match any driver or conditions with it's fully adjustable rose jointed suspension, Adjustable rear wing and Position adjustable peddle box. At a very light all up wet weight of less than 460kg, the Suzuki Hayabusa gives a power to weight ratio many try to copy. with its unique engine cradle design the LR1300 will accept almost any motorbike engine. With its large AP racing calipers and fully floating discs it can stop too. - Pole position for first race. - 5 race victories in 5 race meetings. See the LR1300 in action at a race track near you.